GET ANY TWO 10 PDU COURSES BELOW FOR $59. HomeGET ANY TWO 10 PDU COURSES BELOW FOR $59. Take advantage of this great offer and earn recertification PDUs for your PMI® certification! You can get any two 10 PDU courses below for $59 through April 30, 2019. or add a free 10 PDU course with any other paid single course enrollment. Enroll today and take as long as you need to complete your courses, your enrollment never expires! Getting the free 10 PDU course of your choice is easy. Step 1: Select any course from our course catalog and add it to your cart. Step 2: Now select your free 10 PDU course – pick any 10 PDU course and add it to your cart. Step 3: Enter the code 10FREE on the confirmation page during checkout. The code 10free will deduct $59 from your enrollment fees and provide the second 10 PDU course absolutely free. As an added incentive, students who participate in this offer will enjoy an unlimited enrollment period that never expires. 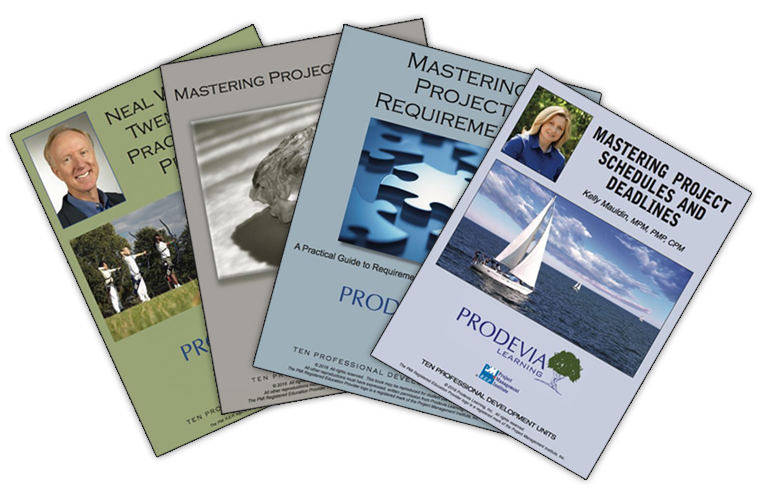 You can enroll now and take your courses on your schedule; regardless of your PMP recertification cycle. This offer is only valid with a paid course enrollment and may not be combined with other offers. You may only receive one free course with each individual enrollment order submitted. To receive a second free 10 PDU course you must repeat the 3-step process above in a separate online enrollment. This free course offer ends April 30, 2019. and may not be combined with other offers.